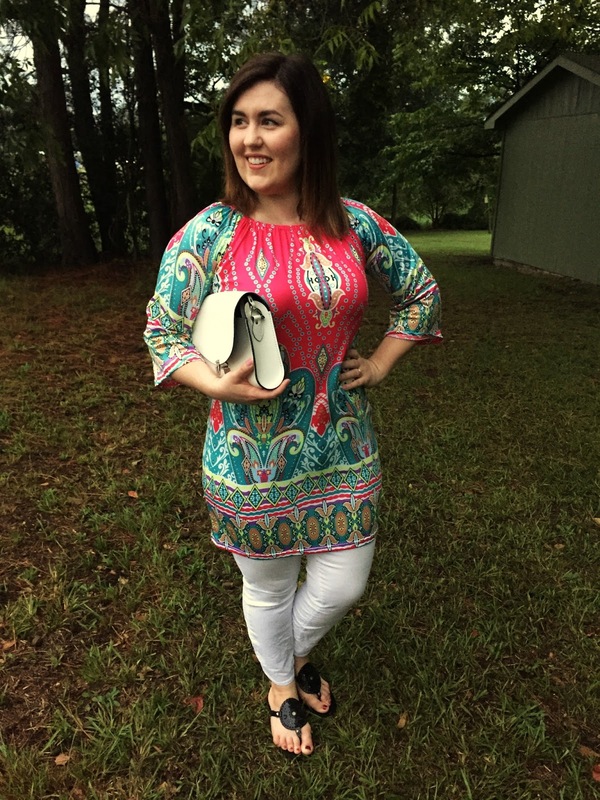 This tunic was sent to me to style. All opinions are mine alone. It might close to fall on the calendar, but it still feels like summer here! And it really doesn’t feel like it will be cooling down soon … at least, not as much as I would like for it to cool down. You all know how much I love fall, but I really do love the bright colors of summer as well. 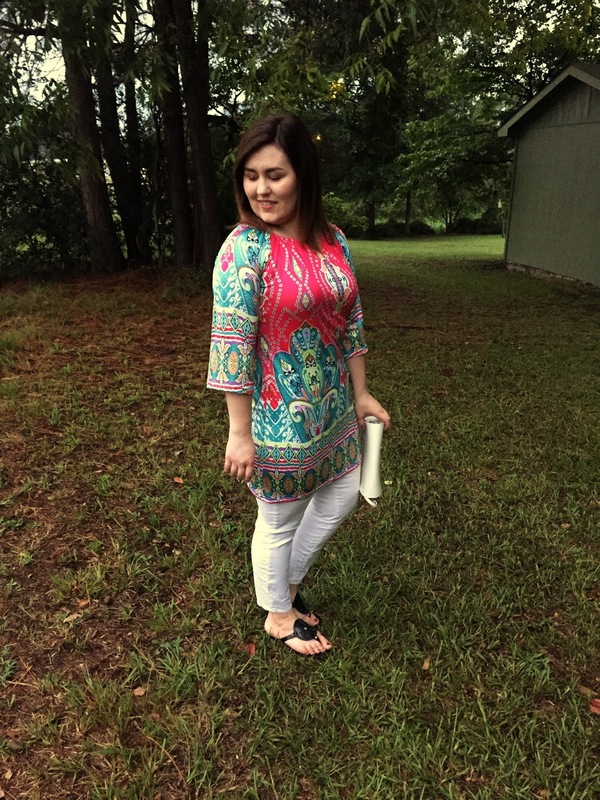 This tunic is so pretty, with the bright pink and turquoise colors and the gorgeous pattern. 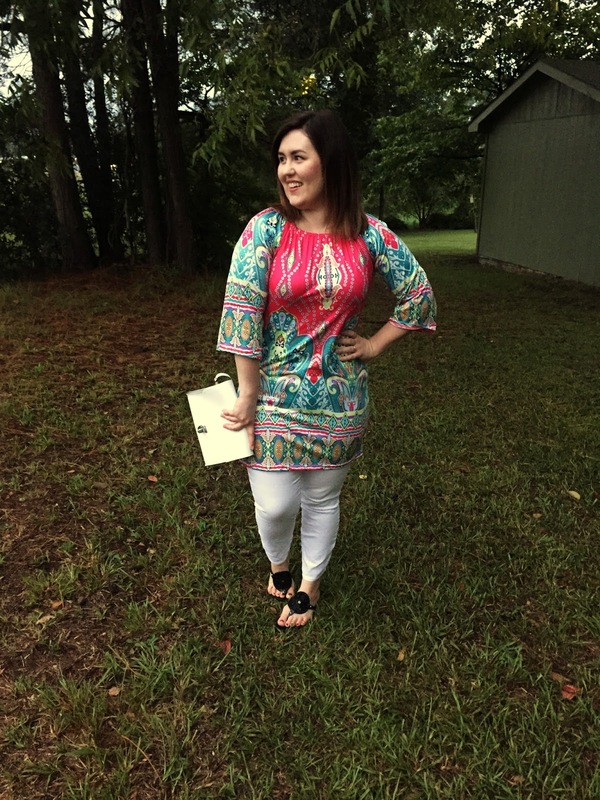 You better believe I’ll figure out a way to style it for fall, too! 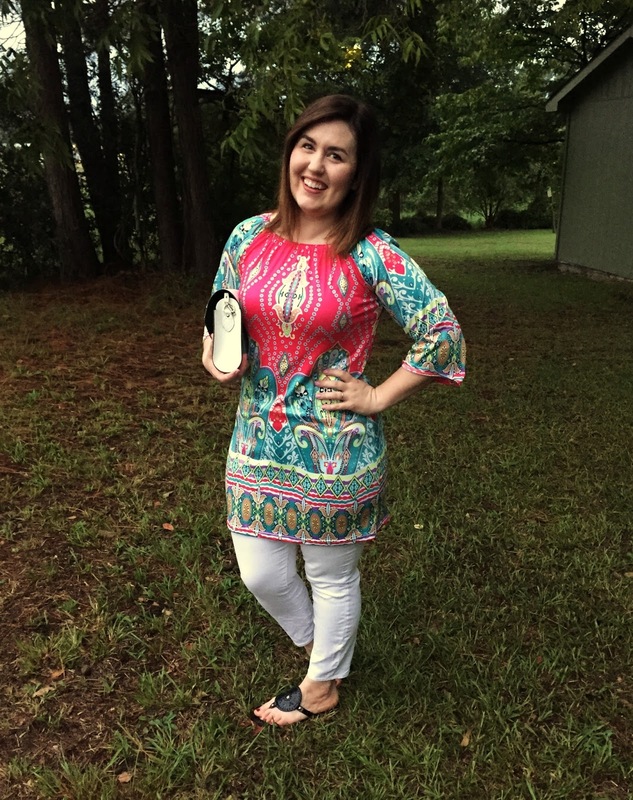 You can check out more of Fashionme’s shift dresses (that you can wear as a tunic)!